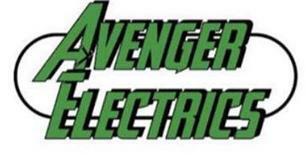 Avenger Electrics Ltd - Electrician based in Throcking, Hertfordshire. After spending 14 years serving queen and country in HM forces within an electrical role I decided to take my skills into the civilian world. I've built up a serving mentality and always put customers needs first and help them to achieve their requirements. All jobs undertaken, fully guaranteed and tested & inspected. Whether it's a safety check or new kitchen lights, an inspection report or smart electrics, we are here for all electrical work. Why not look at new more economical lighting? LED lighting is providing home owners with more energy efficiency and cutting electric bills. We can help you look at making your home or place of work more economical. Why not ask for a quote on CCTV installation or Alarm fitting? Setting up of technical gadgets. We all ignore the instructions. Call for help. A10 corridor, Enfield, Hoddesdon, Cheshunt, Hertford, Ware, Bishops Stortford, Royston, Stevenage, Hitchin, Letchworth, Baldock, Stotfold, Cambridge and surrounding areas.